For commercial drivers, it is imperative that you speak to a traffic attorney right away to hear your options. I help commercial drivers all the time. The general consensus is that a point on the license will almost always affect their employment. Therefore, I treat these tickets with the highest priority. Vehicle Code 23152(d): It is unlawful for a person who has 0.04 percent or more, by weight, of alcohol in his or her blood to drive a commercial motor vehicle, as defined in Section 15210. However, a non-commercial driver may be charged with a DUI offense of Vehicle Code 23152(b) for .08% BAC or more. Given that many vehicle violations are aggravated by virtue of being a commercial driver, it is important to take care of any pending traffic tickets now, to save on points in the future. Also, recent California law allows a commercial driver to take traffic school in lieu of a point if the violation occurred while driving a non-commercial vehicle. Therefore it is imperative that you speak to a lawyer if you are a commercial driver driving a personal vehicle when you received a ticket. However, even if you received a traffic ticket while operating a commercial vehicle, speak to an attorney to see your options of getting a reduction to a non-moving violation. I have worked on many traffic violations in Ventura County for commercial drivers, and I really stress exploring this option, even if the case would have otherwise been a clear conviction. 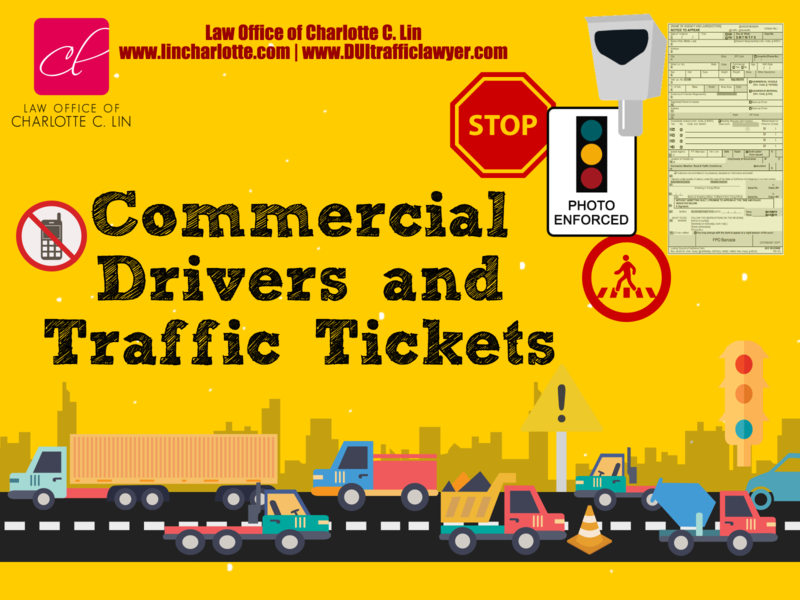 If you are a commercial driver and you received a traffic ticket in Ventura County (speeding ticket, red light camera ticket, etc), please call Law Office of Charlotte C. Lin at 805-517-4LAW to discuss your options. Charlotte is a trusted lawyer by day, and legal ninja by night. In her spare time she enjoys slashing tickets with nunchucks. Will a DUI affect my Deferred Action (DACA/Dream Act) Renewal? What are the Consequences of a Third Offense DUI? Violation of a Suspended License Can Carry Huge Punishments! Minors and DUI: Under-Age Driver Can Face Harsher Consequences Than Adults! 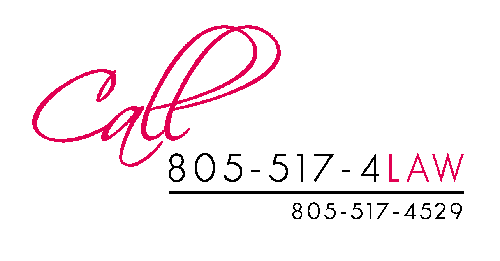 Got a DUI in Ventura County?